Acme Graphix.com is a professional outfit offering services for all kinds of website design,development and internet marketing, no matter what the budget of the buyer is. We have our headquarters in New Delhi and a branch office In Panchkula. Founded in 2001, we have recently expanded on a global scale, gaining presence in UK, Europe, Australia, Canada and Japan. This combination allows Acme Graphix to take complete responsibility for all online needs of its clients – from the initial steps of website designing to the finest details of functionality, subsequent maintenance and promotions. Since twelve years, Acme Graphix has earned itself a superb track record in the field of Internet-based applications. Our creative team creates sites for a broad base of clients ranging from classic to quirky. Web Solution technology is integrated with a structured approach by the specialists, resulting in a product that is user-friendly, with excellent back-end and modular functionality. 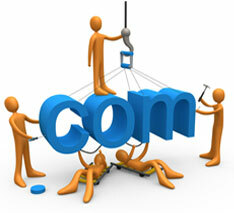 Online businesspersons can safely relax after placing their website in the hands of acmegraphix.com. They are assured of excellent and effective e-business solutions, tailor-made to ensure maximum satisfaction, for both the business owner and the customers that visit the website. Acme Graphix’s prides itself on a strong and smart employee base, dedicated to ensuring the best online presence for each of their clients. Acme Graphix’s list of satisfied clients include companies as diverse as government portals(e.g. the Cement Corporation of India), online grocery stores, matrimonial portals, jewelry portals, real estate portals, a Reiki website, and even an artist’s personal website.